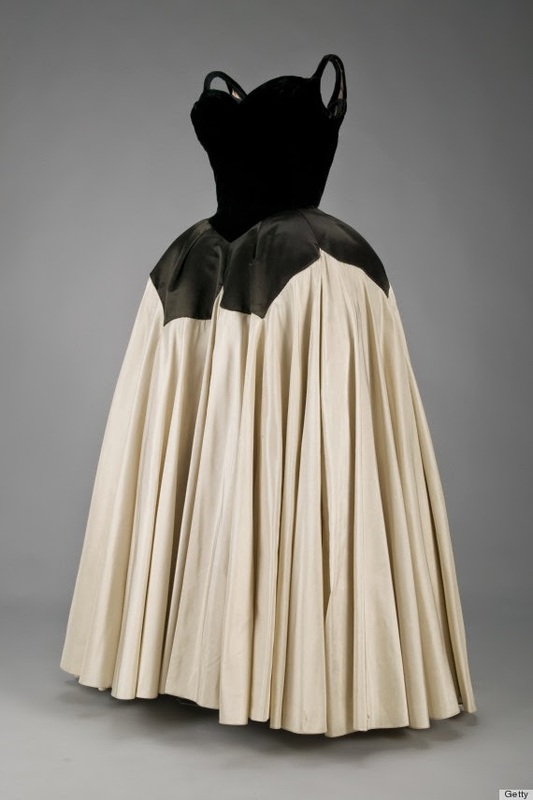 Following last year's theme of Punk Couture, this year’s Metropolitan Gala centered on the theme of “white tie and decorations”, a tribute to Charles James (1906-1978), America’s first couturier, who was paid a correct homage with the Met annual Costume Institute exhibit. 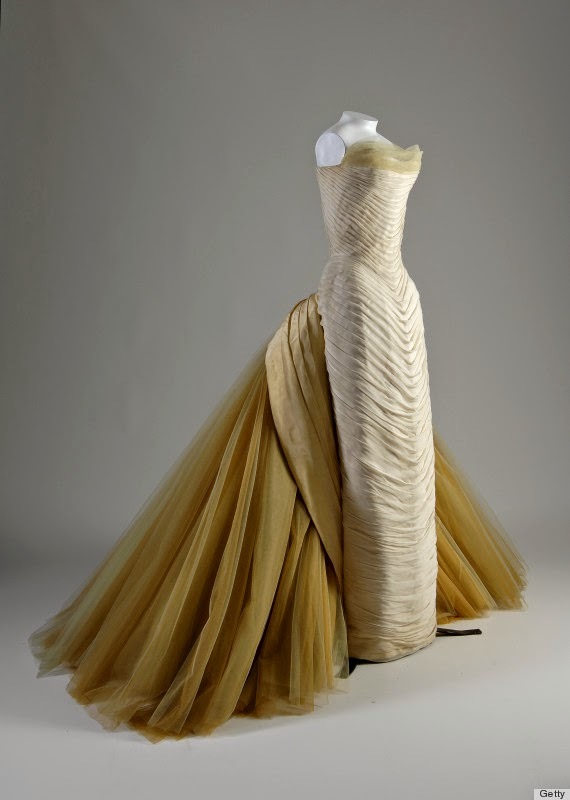 “Charles James: Beyond Fashion” acknowledges James' sculptural approach to fashion design and makes us rediscover the architectural ball gowns he was famous for. Charles did not sustain his popularity today because he hasn’t carried with time a surviving label for the public to remember him, especially for the people outside the fashion industry. 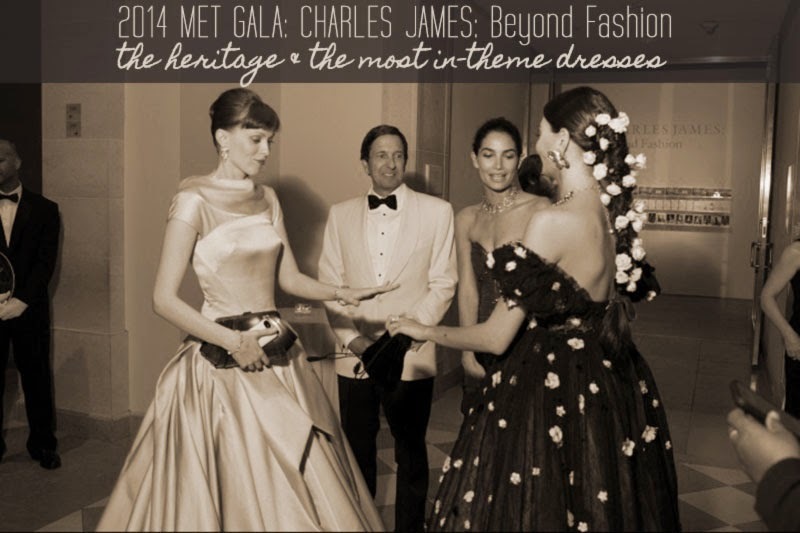 However, I am sure all of you will remember him by because of the Met worthy star studded gala and the celebrities all dressed up and strutting their way on the red carpet. Toni Garn and Jourdan Dunn in a rush to get to the Met; I love Toni's dress!! From left to right: Reese Witherspoon (loved the detail on her strapless cut), Cara Delevingne (Expected pants), Rihanna, Stella McCartney and Kate Bosworth. All are wearing Stella McCartney. David Beckham wearing a Ralph Lauren Black Label suit and Louboutin shoes and Victoria Beckham wearing her own brand; I thought her dress was too minimalistic for a theme like decoration. Emma Stone and Andrew Garfield (the Spiderman movie) are sweet together in a Thakoon dress and Tod’s bag and a Band of Outsiders suit with Christian Louboutin shoes; But seriously? I can wear her dress to the beach! Since they became fashion-relevant and Vogue approved, let's talk about them. Here, Both Kanye and Kim are wearing Lanvin. I like you Beyonce but this dress looks like last year's survivor theme ("Punk: Chaos to Couture"). Both Jay Z and Beyonce are wearing Givenchy Couture. Beyonce's husband Jay Z comes to the rescue as she loses a ring on the Met Gala red carpet; he looks for it, finds it, and then bends slightly as if to propose to her once again.